Over a decade ago, McDonald’s franchise owner, Peter Miller, was struggling to find space for the hundreds of used cardboard boxes his restaurant produced each week. Due to the large amounts, employees simply mixed the cardboard boxes with the general trash in a corral outside the facility, creating the need for frequent trash pick-ups. The problem came to a head one night when someone set the cardboard on fire, nearly burning down the building. Shortly thereafter, at a industry trade show, Peter found out about Orwak’s small footprint cardboard compactor and baler. 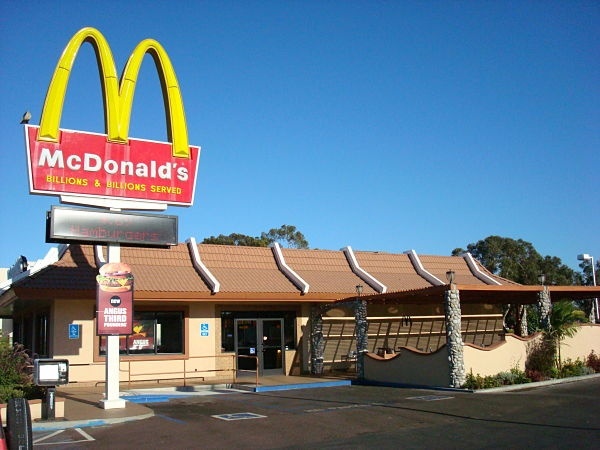 Since then, Peter's employees have experienced the benefits of baling cardboard boxes INSIDE the McDonald's, while Peter benefits from a no cost, no maintenance baler that has reduced trash pick-up costs and generated income (from the sale of the cardboard bales) for over a decade. As with most restaurants, the Flushing, New York McDonald’s, owned by Peter Miller, receives several deliveries a day of food, serving containers and other supplies, creating heaps of cardboard boxes to dispose of. The piles of used cardboard boxes not only created huge space limitations inside the restaurant, they also create the need for extra trash pickups. Peter knew about cardboard compactors, but thought they were too large and expensive for a small restaurant to have inside. Then, he found out about the Orwak 3100 Compact baler, which can be placed in the restaurant’s back room, taking up just six square feet of floor space, and running on standard 110V power. The Orwak 3100 Compact baler had an immediate positive impact on trash costs, space, security and cleanliness for the Flushing, New York McDonald's. By compacting and baling their cardboard boxes, the store was able to reduce the number of weekly trash pickups. This meant they were now paying less for trash removal each month, while also generating income from the sale of the cardboard bales that were picked up for free. The other benefits included more space in the garbage corral, a tidier work environment and added safety. Because the baler was located inside the restaurant, the back door could remain closed and locked, which kept employees in and vandals out. This Flushing, New York McDonald's has been baling cardboard for over a decade. They simply bale the cardboard and wait for bales to be picked up for free. No other costs. No maintenance on his Orwak baler ever.